This pattern was originally exclusive to the Shakespeare in Lace Subscription Club, but is now available for public sale. 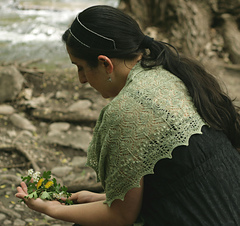 This shawl commemorates the sad story of Ophelia, from Shakespeare’s Hamlet, who went mad and tragically drowned. 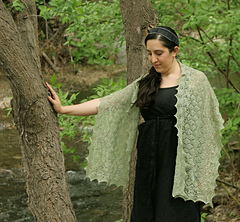 It begins with a brocade-like motif to evoke Ophelia’s dress, which held her aloft in the stream. Then it progresses to a floral motif with nupps, and finally to a rippling feather and fan pattern to represent the water. 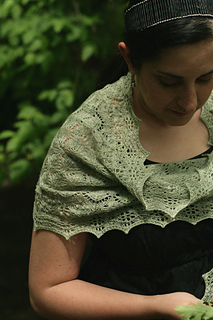 This shawl is constructed with a long cast on, joined in the round. 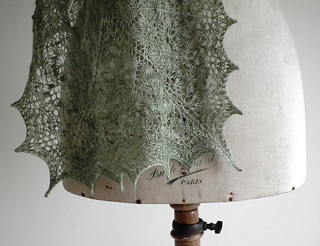 The rows are worked outward from the cast on edge, with 4 corner stitches to create a rectangle. 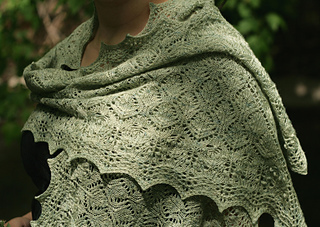 Because of this construction, every row is a Right Side row, and you will bind off the whole outside edge. 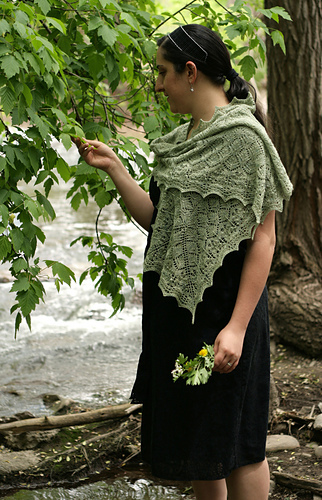 After blocking the cast on is folded in half and sewn together to complete the shawl. 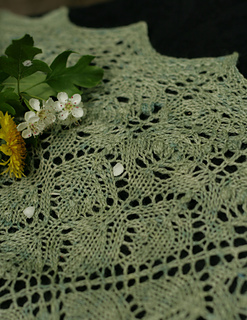 Alternate cast-on methods are discussed here (http://www.ravelry.com/discuss/shakespeare-in-lace-club/1...) and a construction diagram is shown here. Stitches Used: knit, purl, yo, k2tog, ssk, sl1 k2tog psso, Centered Double Decrease, single row nupps.